This entry was posted on October 22, 2011 at 5:59 pm and is filed under Biographical, Columbo with tags bet, cat, Columbo, PhD. You can follow any responses to this entry through the RSS 2.0 feed. You can leave a response, or trackback from your own site. White smoke up the departmental chimney! Do the examiners pre-arrange with you that they will pick left or right nostril, at which point you inform the candidate? More seriously, you also have unhappy news to break if it’s a failure. PhD actually stands for Doctor of Photocopying. 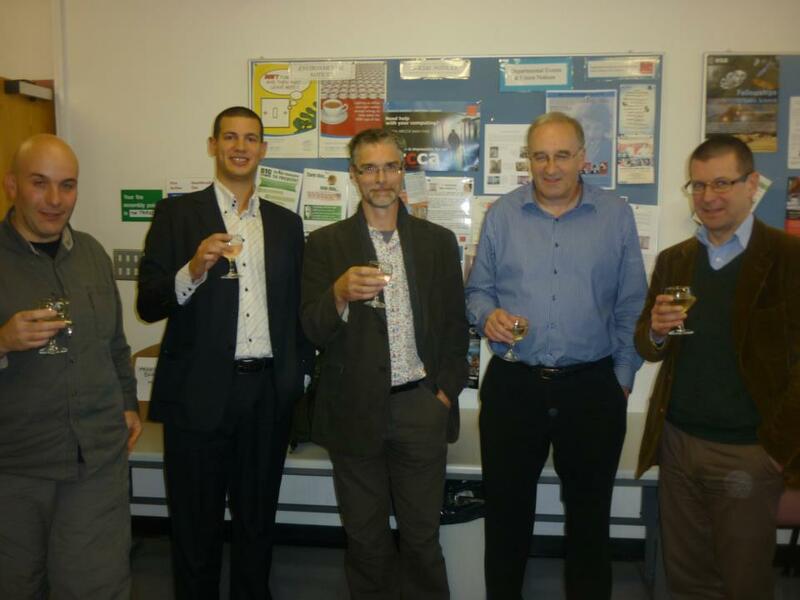 The ritual at the end of a viva always involves sending the candidate out of the room while the Examiners “deliberate”. Formally the Chair is supposed to get them to confirm a recommendation and sign some forms. Only then is the candidate re-admitted and told the outcome. It’s all a bit silly, and I’m sure agonising for the candidate, but there you go. We have to have our fun. Fortunately I’ve never had to tell anyone they’ve failed. A good supervisor should ensure that a candidate should not submit a thesis that isn’t up to scratch, but of course it’s down to the candidate to perform adequately in the viva. Sometimes nerves get the better of the student and it can be quite painful. Either it is a formality to go out and come back, or not. If it is, then get rid of the whole thing—even Ringo Starr has stopped doing encores, choosing to just play that much longer instead (which he can still do at 71! ), not even using the time as a break for rest (which apparently he doesn’t need). If it is not, then it isn’t silly. Drummers keep fitter than than the rest of the band, provided they can navigate the hazards that claimed Moon and Bonham. Yes, the Chair has to ensure the final recommendation is agreed and the necessary forms signed before the candidate is re-admitted. In some cases the Examiners also have to agree on a list of corrections to be made, or if the thesis is deficient in some way they may recommend a resubmission. I suspect that sometimes it is a bit silly and at times it is not. Sometimes the result is painfully clear (either way) and at other times there might be room for discussion. I guess it is better to be safe than sorry and to keep to the practice even if the chair (or any of the examiners) feels it is open and shut, just in case. I am really happy for Lorenzo. It must be a dream come true. I realise you didn’t intend to try to out your anonymous readers but I’ve read your blog for the past 3 years and never felt tempted to leave a comment before. Actually when i think about it i realise that I’ve never left a comment on ANY website/blog EVER! And yet I almost always scroll down to look at what other people have said. Anyway, I think you write a great blog (although I have to admit that I skip any post about jazz!) and I was very moved by your post ‘Rest in Peace, Columbo’. So before I disappear back into the silent section of the webternet I’ll say thanks and keep it coming! Do you have a cat, Rich? This summer or autumn three friends of mine will have lost their cats (one cat is just hanging on with terminal cancer). Thankfully all have lived good and long lives. I’ve slept with them all (the cats, that is), and I will miss them all. Columbo was one. Leonardo da Vinci knew what he was talking about when he called the cat “nature’s masterpiece”. No I don’t own a cat. I’m probably not what you’d call a pet person. But then that post was clearly about more than just a pet and so I was moved nonetheless.